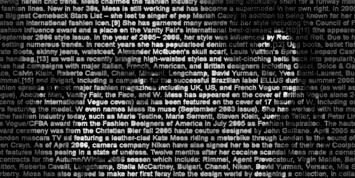 I found these quite a few years ago and put them in my Sims 2 game as portraits for my Sims to paint, but now seeing them again, they are very clever pieces of art, photography and portraiture. 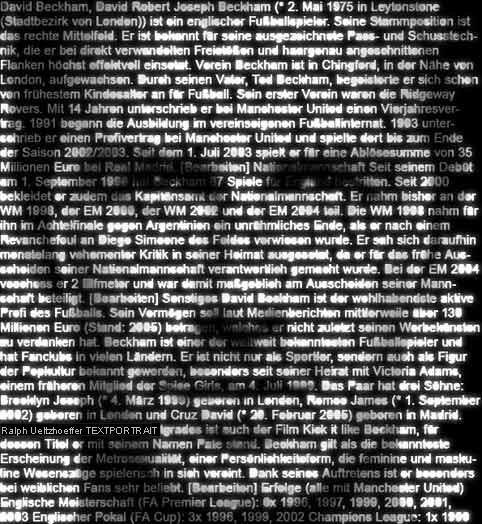 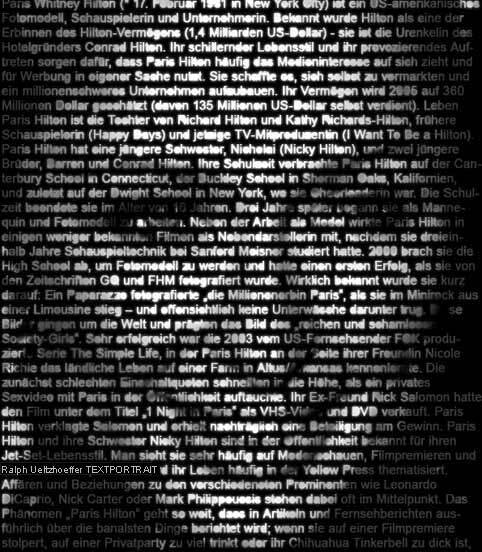 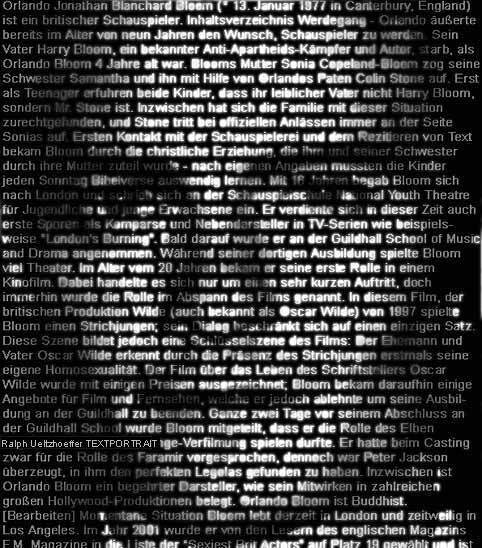 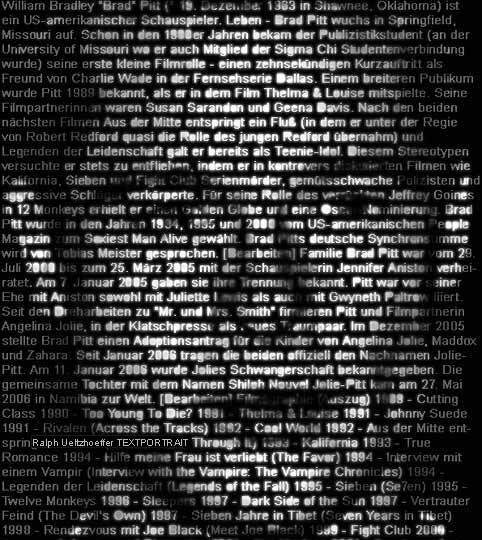 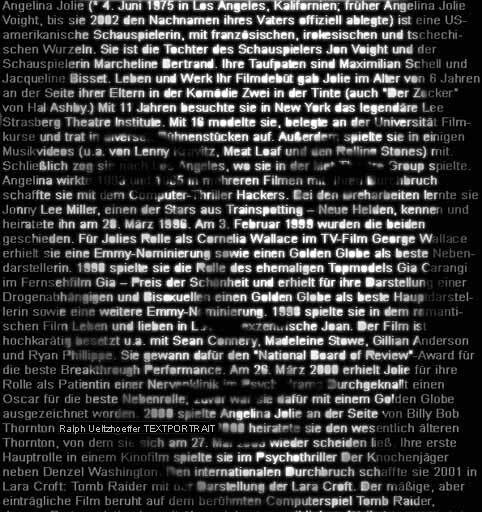 Ralph Ueltzhoeffer was a photographer and has developed these awesome portraits using text from Wikipedia. 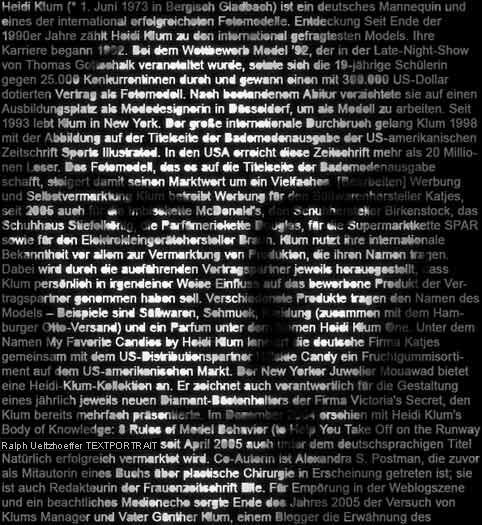 The use of text in the form of personal information to form the portrait of that individual is genius and allows you to learn about someone in a more visual way. 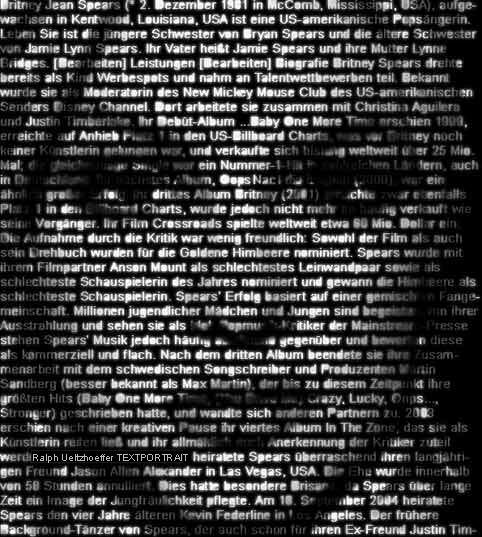 Some of the most iconic people have undergone this "text portrait" treatment: Madonna, Britney Spears, Angelina Jolie, David Beckham, Kate Moss and many more. 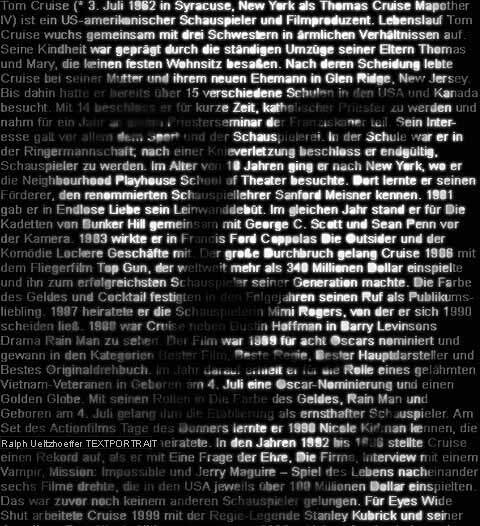 Ueltzhoeffer's works and installations continue to inspire and wow people.